Used to be that I would get grumpy about rehearsals that would get in the way of Sundays with my Swiss ballet man. Despite the fact that we live together, we don't get to see each other all that much since we both work all week, on alternate weekends he has his son and they are generally off blowing things up and doing things boys do, and he and I often teach or rehearse in the evenings. This year, Florian is so busy working on his Master's thesis--in preparation for graduating in the Spring with his Master's of Fine Arts from the University of Maryland--that he's decided to only do one Nutcracker. 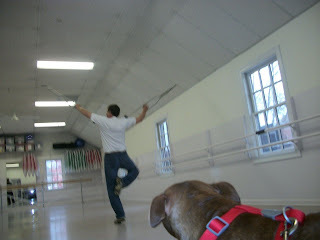 The fun, eclectic one with his old friend who has a ballet school in Great Falls, VA, which includes a sailor dance and a dance on crutches. His friend is such a good sport that she is even putting me in the performance this year (I don't know if Florian told her about the times I've come to his ballet classes and crashed into the piano after a series of turns). Best of all, she welcomes dogs in her studio. Sandy loved watching the action and being there with all her favorite people. I don't know if she'll get a starring role in the Nutcracker this year, but she did make some good connections. 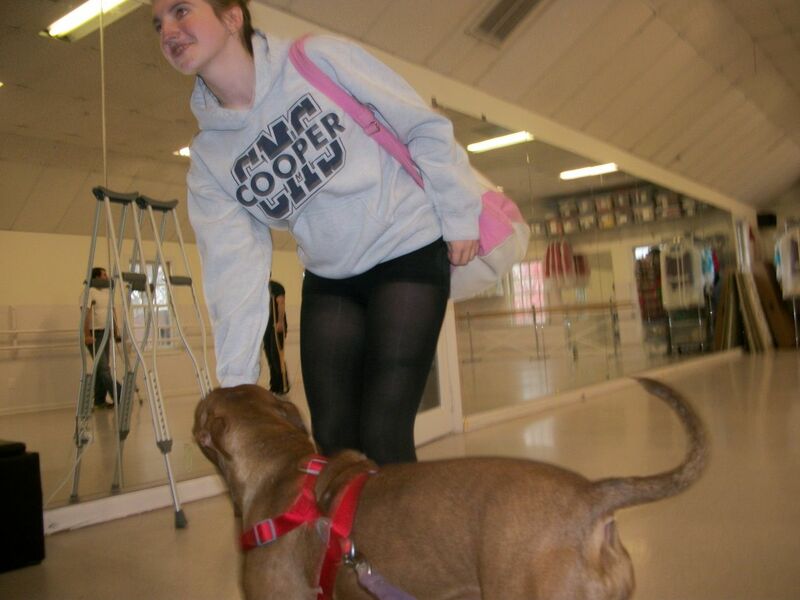 Ballerinas love pit bulls! I was impressed with how she waited so patiently while Florian rehearsed. Another success to add to her growing resume. That picture of Sandy all spread out on the floor is too cute. Sending you both best wishes for the upcoming performances. 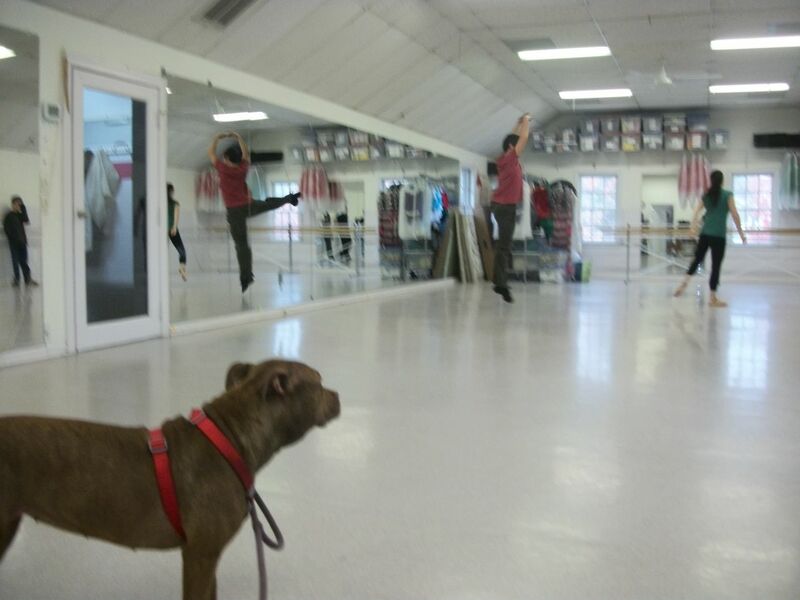 Wow, I can't believe how well she behaved in the studio - that's really impressive! I think Sandy would make an excellent Nutcracker mouse. Just sayin'! 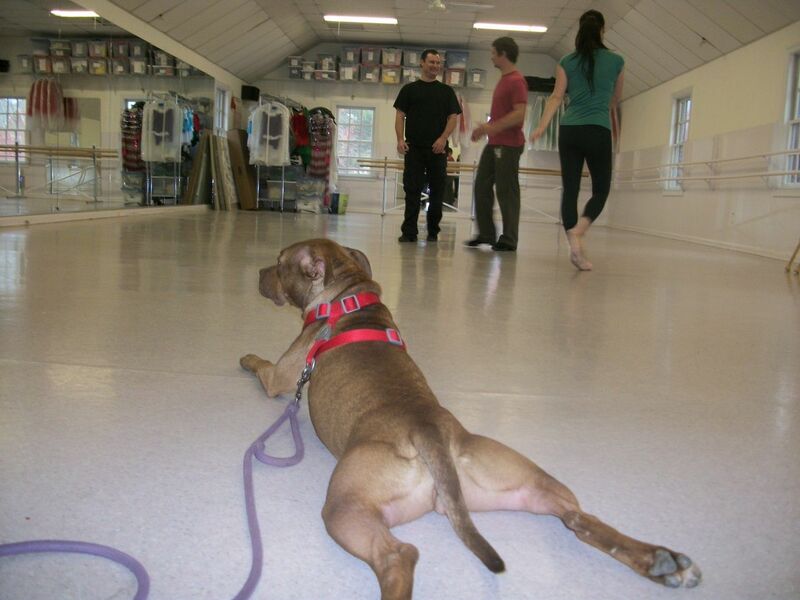 Wow, Sandy can do "frog legs" like we can. 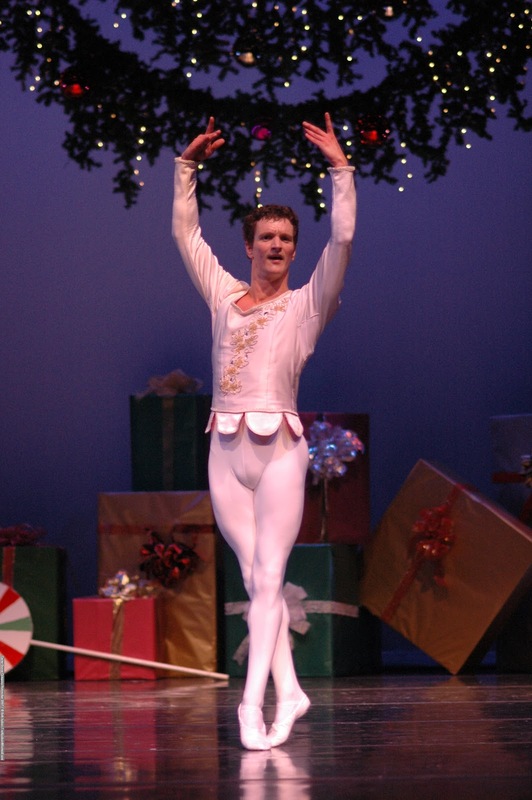 Best wishes going forward for your Nutcracker performances. That looks like so much fun, and what an opportunity for Sandy to meet some new people. I love the photo of her sprawled on the floor. Sandy did a very balletic split there. If that was her audition, I'd assume she landed a part. Great frog pose!! I am impressed by how well behaved you were at the studio. I bet it was a blast to watch all the dancers and listen to the music. Fun day for a pup! Good luck to your humans with "The Nutcracker." That is pawsome! That must be so much fun for Sandy to be able to go with her parents. That is great. How exciting to be doing the Nutcracker. That is terrific. We had a fake tree too, it lasted an hour in the cottage window... :-) But you know, there are tree's and tree's :-) We passed on our fake tree, it went to a good home, so never felt so bad... :-) HI Great to see you... Ah, dancing ! Freya would say pawsome blog, but she can't talk :-) All in the eye's ! that's so impressive! I think all four of mine would be jumping all over me if I was jumping and spinning around a room!! Can Sandy be in the show too?